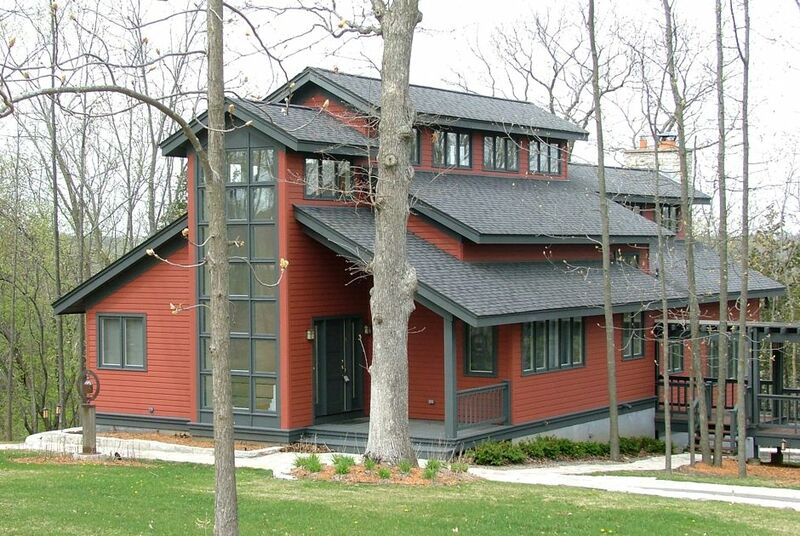 Architectural firm with offices in Chicago and Galena, IL. Institutional, Commercial and Residential architecture. This house is organized around a central gallery space that is naturally lit with a clerestory. 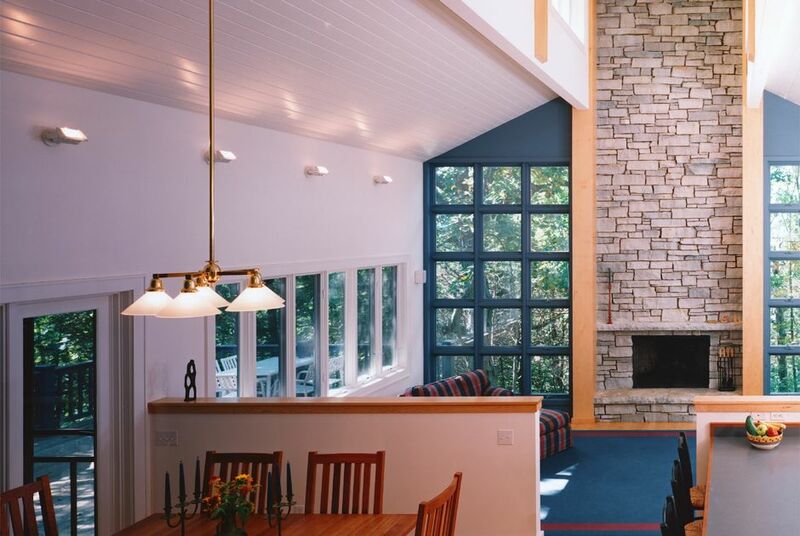 The gallery’s focal point is a two-story stone fireplace flanked by two window-walls looking into the forest beyond. The two-car garage is attached to the house with stepped pergola structure.